Last April I found myself a window of opportunity to go on a big ride from town. The snow had melted, the weather forecast predicted sunny and I had 3 days off. That week I decided to ride to the coast from Klamath Falls following the Klamath River. My end goal was Crescent City because there’s a shuttle that goes back to Klamath Falls. This is great route for those on tour looking for a good way to get to the coast from Klamath Falls or those looking for a good multi-day/overnight ride. Terrain is mix of paved, gravel, and dirt roads. Navigation is easy, because for the most part you just follow the river. The views are great along the river and there are plenty of camping opportunities. Topsy Grade Road will be the first big hurdle, you are greeted with gravel climb right of the bat and a pretty hairy descent on a rough road. You will be on gravel and dirt roads until you pass Iron Gate Reservoir. The trip once you get to Copco Lake is pretty gentle. Happy Camp is about the half way point of the route and will have few restaurants, a grocery store and lots of Big Foot related paraphernalia to look at. The second very big hurdle happens when you have to leave the Klamath River the road following the Klamath River will end as you get closer to the Yurok Reservation, so you will want to get on Bald Hills Road before then. This will is a long climb about 2600 feet in under 6 miles. At the top you will be met with some gorgeous views and the paved road switches to gravel for a bit and then back pavement as you descend through the Redwoods. From here jump onto HIghway 101 North and then go into Prairie Creek Redwood State Park and then back onto 101 towards Crescent City. 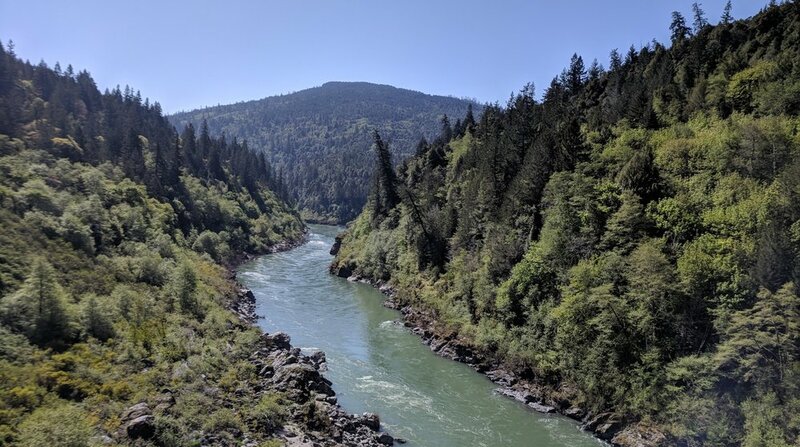 For bonus points if you want to get the full Klamath River Experience maybe consider rafting the last section of the Klamath River into the Ocean. Starting May 2018, we will be offering Park Tool School. Park Tool School is a hands-on bicycle maintenance and repair clinic written by Park Tool and taught by your local bicycle experts. Classes will range from novice to advance level. 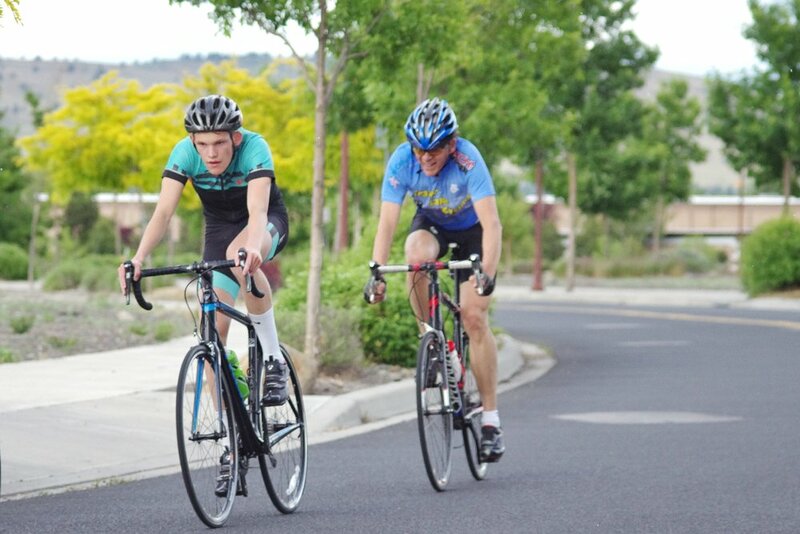 Topics include flat repair, wheel truing, derailleur systems, and brake systems, etc. 4 Day Class, Tuition $150 includes Park Tools text book. Class sizes are limited so let us know what class you are interested in. We can organize custom classes for two or more attendees. If you would like to receive email updates for this and future events, sign up for our mailing list in the form below. If you have further questions call us at 541-851-9200. Wednesdays 5:30 pm to 8:00 pm. May 9th, 16th, 23rd and 30th. If you want to book an intermediate class please fill out the form below and we will reach out to you with availability. If you are interested but want to do a different class than the intermediate, also use this form but indicate what class you are interested in. If we get enough people we will run another course. Starting January 2018, we will be offering Park Tool School. Park Tool School is a hands-on bicycle maintenance and repair clinic written by Park Tool and taught by your local bicycle experts. Classes will range from novice to advance level. Topics include flat repair, wheel truing, derailleur systems, and brake systems, etc. 4 Day Class, Tuition $110 includes Park Tools text book. January 18, 25 and February 1, 8 at 5:30pm. The dates posted below have been filled. Due to the high demand of this course we will be arranging additional dates. Please fill out the form below, and we will contact you with information on additional class dates. 4 Day Class, Tuition $110 includes Park Tools text book, February 15, 22 and March 1, 8 at 5:30pm. Classes available include, Tire and Tube, Disc Brake Service Class, Derailleur Systems Class. My goal for this ride was to ride from Klamath Falls to the Coast in one day. It was hard, it was beautiful, it was painful, and I would do it again. Highlights include descending Dead Indian Memorial Road in Ashland, riding along the Rouge River, climbing and descending Bear Camp Road, and riding 101 from Gold Beach to Brookings at Midnight (Virtually no cars, sounds of waves rolling onto shore, and the moon and stars lighting up the ocean.) When my ride was over I slept for a few hours at Harris Beach before catching the bus back to Klamath Falls. My kit was minimal. I carried mostly food and clothing. No tent just an emergency bivy and a sleeping bag liner. I wasn’t planning on sleeping outside long, so comfort wasn’t a concern. I carried mostly everything in my seat bag. I had a handlebar bag for things I wanted quick access to such as my camera and snacks. My repair kit included a multi tool, two tubes, patch kit, pump, tire lever, missing link and electrical tape. This was held together to my frame with a Mutherload Frame Strap made by Backcountry Research (super nifty). I started the ride with a top tube bag, however I found it got in the way of my knees especially while climbing. I ended up throwing it in my seat bag after the first climb. Top tube bags can be a difficult fit on smaller frames. I would consider bringing an extra set of cycling shorts. My bib shorts were so saturated with sweat about halfway through the ride it made the second part extra hard and almost unbearable. The last 50 miles I was standing about 80% of the time because sitting was too painful. This caused pain in my knees and quads. I would also consider a wider range cassette, like a 11-32 although I was fine on the first half of the ride. The second half featured some long steep climbs making it hard to spin. I was originally planning on doing this ride in two days. However, after seeing Jason Hardrath the dirtbagmountaineer on Instagram and Cody Cox of Fortitude Filmwerks go on a big 24 hour ride earlier the same week I was planning my ride. I decided to give it a go. Thanks for the push. If you've known me long enough you have probably heard me say that we all ride bikes for a different reason (or in many cases: reasons). Normally I'm using that phrase to describe a different or foreign style of bike to somebody, but it applies at a deeper level too. I enjoy mountain biking for many of the same reasons that everybody else does, but there is a specific type of mountain biking that really makes me tick. My absolute favorite experience to have on a mountain bike is not to have the fastest time on a segment, to get my adrenaline fix or to "shred trails" (where did we get that term anyway? I don't want my trails "shredded"). My favorite type of mountain biking is spending the better part of the day, going at no particular pace, on a long, rewarding and challenging trail. 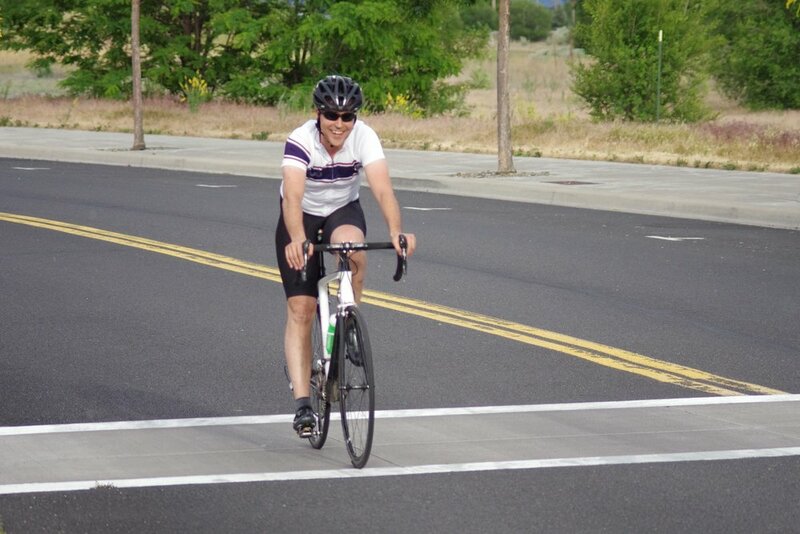 This is what I did last Sunday when a long time customer and friend invited me to ride a section of the Fremont National Recreation Trail. By no means the first time I've ridden out there (in fact I was up there with the Oregon Timber Trail Association just a couple of weeks ago), but this particular section of the 100+ mile trail was new to me. The Fremont National Recreation Trail (FNRT) is a lesser known, extremely remote and rugged trail, in Eastern Oregon. It sees little to no use in many areas and is open to several modes of travel, including equestrian. As a result it's barely passable in many placesand almost disappears in others. The bike becomes less of a "trail shredder" and more of a tool to cover ground. It's hard not to mention the views. Normally when you look at pictures like the ones above, they are all from the same canned viewpoint. Often if you look hard enough you will find other people with the same photo because there are only so many ways you can shoot the same view. Every picture I took out there was from either on the trail or within a couple of feet. The view you get is not just at points of interest. You're getting spectacular views the entire time. Tired of the climb? Stop and take in the view. Hungry? Enjoy a Clif bar while taking in the view. You don't need to wait to do any of that. We deliberately skipped the dozen or so vista points that the signs pointed out. We just didn't need to see more. All of that is not to say there wasn't fast and fun singletrack riding. There was enough of that to keep you interested. To sum up the ride in a few short words, imagine a challenging adventure with awe inspiring views broken up by sweet mountain biking. But I don't know if a few short words are good enough for this trail. It's something that needs to be experienced to really understand why this is my favorite type of mountain biking. Thanks Charlie, Seth and Grant for the ride! For the GPS of the ride check our our Ride with GPS. For those of you wondering, we shuttled to Moss Pass and traveled north of the FNRT to the Chewacan river, about 19 miles of singletrack. 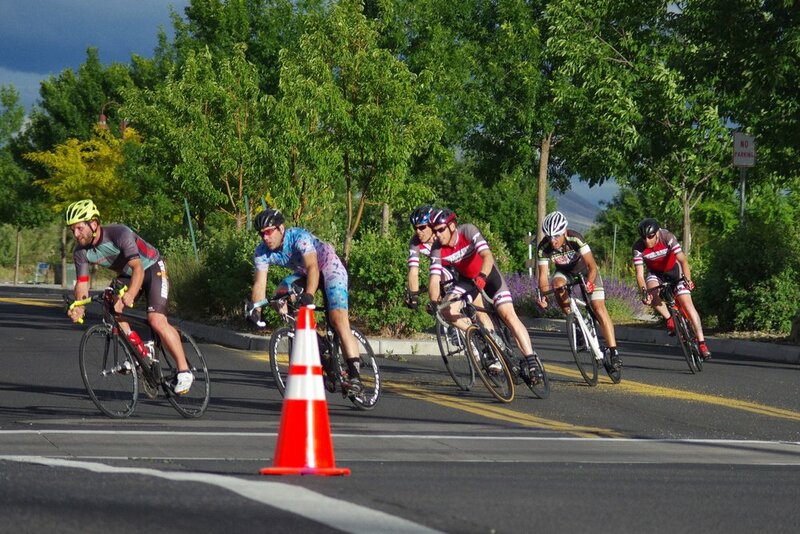 The Velo Cascadia Road Cycling Race Series brings road racing back to Klamath Falls. 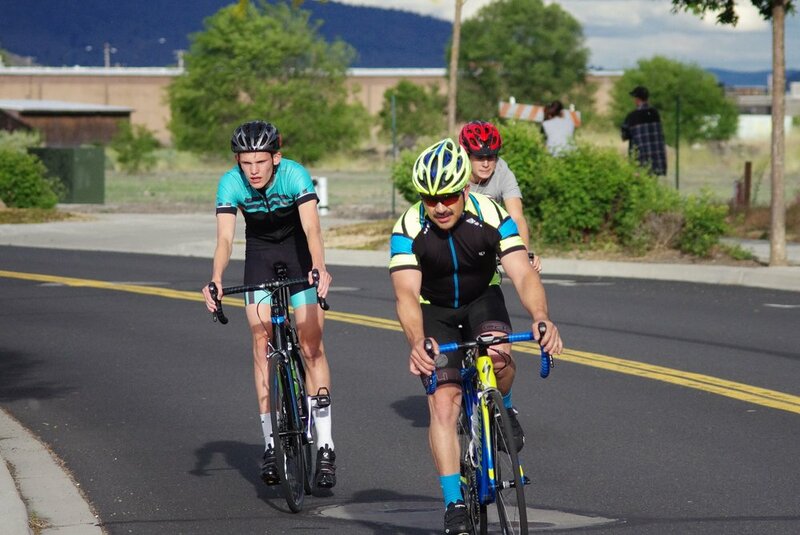 June 15th was the first Criterium Race in Klamath Falls for several years. 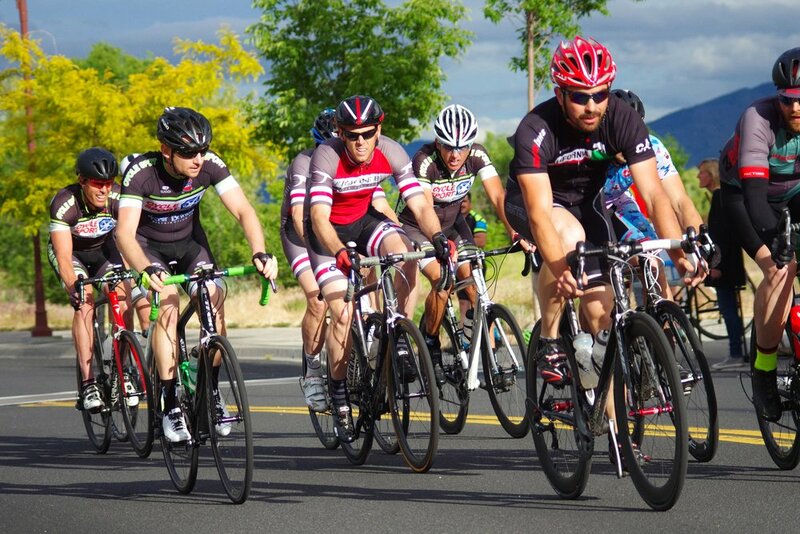 Even if you weren't racing, it was fun to cheer on the local racers. 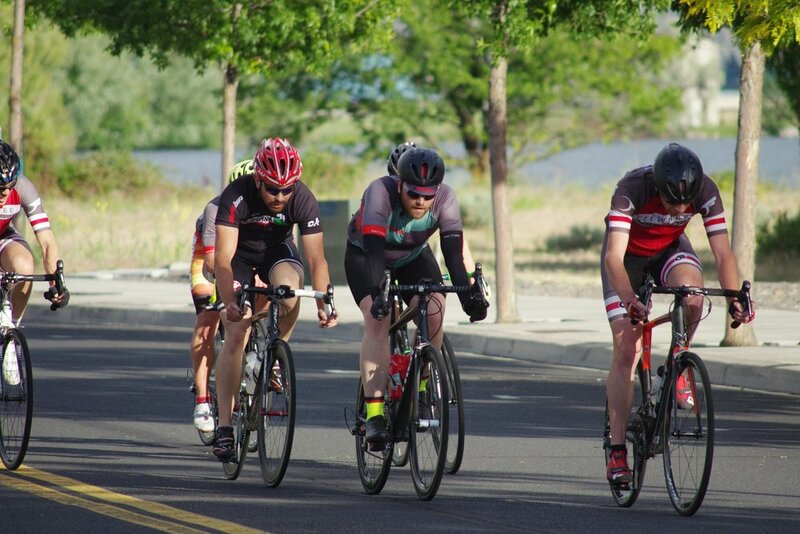 Thank you to all the racers, volunteers and spectators for being a part of this amazing Road Race Series. 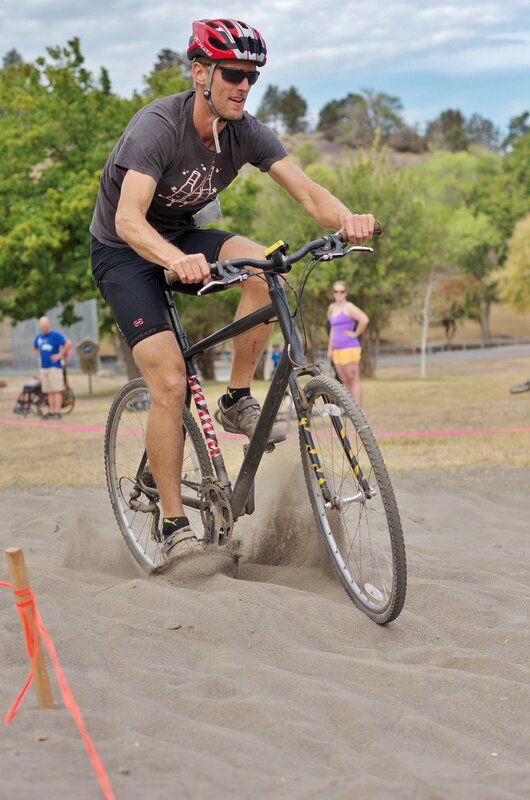 A big thank you to Josh from Asana Yoga Sole for organizing the Velo Cascadia Race Series. We are happy to be able to help out with this event. Don't miss the next race. For more information visit the Lost Cascades Meetup Page. It’s been 3 years since the first Oregon Outback. I’ve done the ride a couple times prior to this outing at a relatively fast pace completing the ride in under 3 days previously. This year I had planned to ride it with my wife, Sam. Instead of pushing ourselves to the limits we instead took our time and really enjoyed the route. This would be the biggest ride my wife has done and I wanted to make sure everything went smooth. We’d plan to complete the ride in six days. The Oregon Outback is a 360 mile bike-packing route that starts in Klamath Falls, OR and ends at Deschutes River State Park along the Columbia River. The route travels through Oregon’s backcountry on mostly gravel roads. Services and water are limited so careful planning is required. For more route details visit Oregon Bikepacking. You can view and download the GPS route. See where the refuel points are at and recommended places to camp. We departed May 31st with our bikes fully loaded for camping. 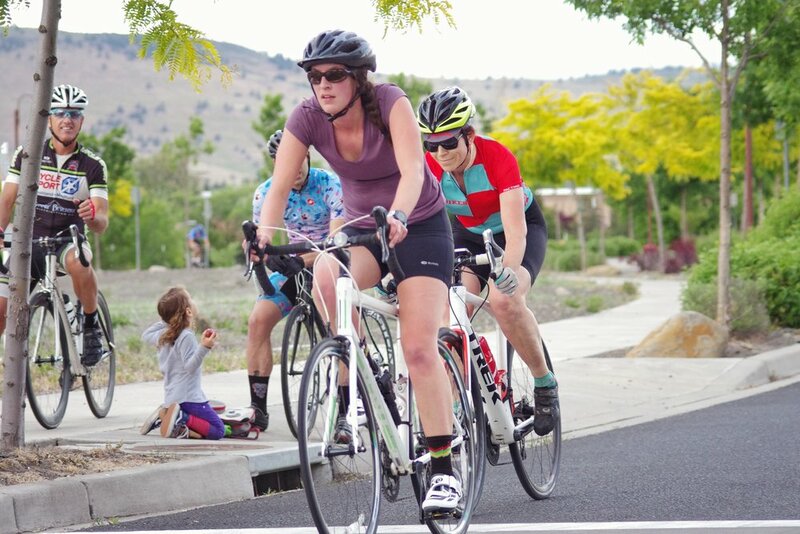 The route leaves Klamath Falls on the OC&E trail which is paved for about the first 10 miles to Olene. It is there were you open your first gate of many along the OC&E trail. The trail follows an old rail-bed for about 70 miles. The grades are never really steep but the gravel can be very loose and rocky in some sections especially on the Woods Line section. We set up camp around 5PM along the Woods Line trail. The next morning, we woke up to some rain and a frog friend. We would make our way to the Cowboy Dinner Tree where we made reservations for a cabin a few months earlier. We took much needed showers and enjoyed a big dinner consisting of salad, dinner rolls, hearty soup, 30oz steak and dessert. I ate about half the steak saving the rest for later. The cabin had a freezer so we froze our left overs and saved them for dinner the next day. Day 3, we got an early start, we had a long day of riding ahead (over 90 miles). First, we went to the store in Silver Lake to resupply which opened at 7:00 AM. We then headed towards Fort Rock watching it grow bigger as we got closer and then disappear as we rode away. Having done the ride before I knew how hard the section after Fort Rock could be. I wondered how we would fare. The dirt on this section tends to be very loose and almost sand like. All effort pedaling seems to go nowhere as your tires dig into the road. Pedaling with our heads down, eventually we got through it and enjoyed a wonderful descent to Highway 20. By this point we had done 65 miles and the sun was starting to set. We still had just less then 30 miles to camp. Luckily it was mostly downhill. We then got on the Crooked River Highway and descended even more before having to climb again . We camped along the Crooked River. We got a late start the next day we were in no hurry since we had planned on a short day (45 miles). We pulled into Prineville and restocked. We went to the Tastee Treet and got Burgers, fries and ice cream. We refilled our food supplies and enjoyed a beer at the Good Bike Co. Sam’s Bottom Bracket was making noise and they properly torqued it for us. We left town to set up camp somewhere in the Ochocos. It’s a big climb out of Prineville, and all the food we ate seem to burn off quickly. After the long climb you are rewarded with one of the best gravel descents on the route. Day 5, we travel through some of the most scenic country on some of the best gravel roads. We followed Trout Creek going through some cold creek crossings. Our feet, socks and shoes were soaked (good thing we had spare socks). We then climbed our way out on Divide Road. The climb there was difficult but the views and scenery made you forget how hard it was. We would then hit pavement on Shaniko-Fossil Highway. This section features one crazy windy road. It was neat reaching the top and seeing how the road switchbacked. We arrived in Shaniko split a banana split and got some supplies at the market. We then set up camp with sounds of the highway. The final day arrived, the end of the ride was near. We left early to hopefully beat the wind in the evening. This last section of the outback features an abundance of gravel rollers and usually winds blasting from all directions. We were fortunate the wind was not blowing hard that day. The rollers were tough, they seem to go on forever, you go up one roller only to see another one. The final ascent is on Gordon Ridge, once at the top you are rewarded with some wonderful views and a descent towards Deschutes River State Park. Getting back home, the next morning we woke up early (really early, 4:00AM early) and rode Old Moody Rd and 15 Mile Rd to the Dalles. From the Dalles we caught a shuttle that left at 7:00 AM to Hood River and then Portland. From Portland we took the AmTrak back to Klamath Falls. If you have any questions regarding the Oregon Outback or are interested in doing the route. Or if you are interested in touring or bike packing. Feel free to visit the shop or shoot me an email at kyle@zachsbikes.com.